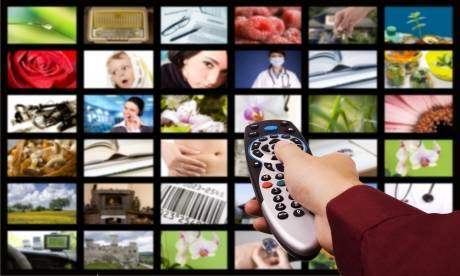 There have been a large number of changes to the channels broadcast from the satellites that provide services to about half of the homes in the UK. What do you need to do? Due to the poor reception many people were finding from the Eutelsat 28A satellite, over 50 TV channels have moved to a new satellite. The https://ukfree.tv/extras/satellite_footprints page has been updated to show the new allocations. If you use Freesat or Sky (paid or non-subscription) your set-top box will automatically change to the new transmissions. The very most you may have to do is power off the box and back on again. If I'm not in the UK or have unbranded satellite kit? The channels now on the Astra 2G UK satellite beams will be received OK in the UK and Ireland, but will require a large dish to stand any chance outside this area. The coverage areas for the new 2G Europe and UK beams are shown here. 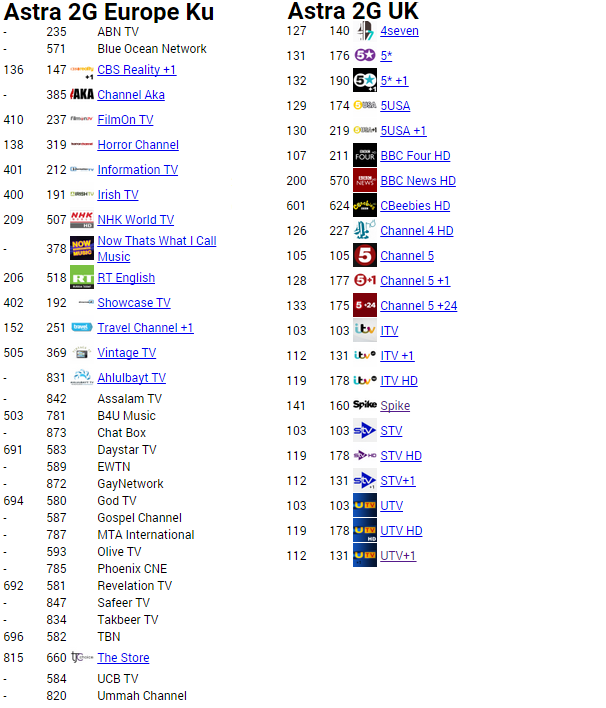 A wells: It would appear that Showbiz TV (157) was removed from Freesat listings as from November 19th, it now only being available on Sky (no card) 266.